safety and design in large openings. By designing the house of your dreams, you surely imagine it as a comfortable, elegant and above all safe place. 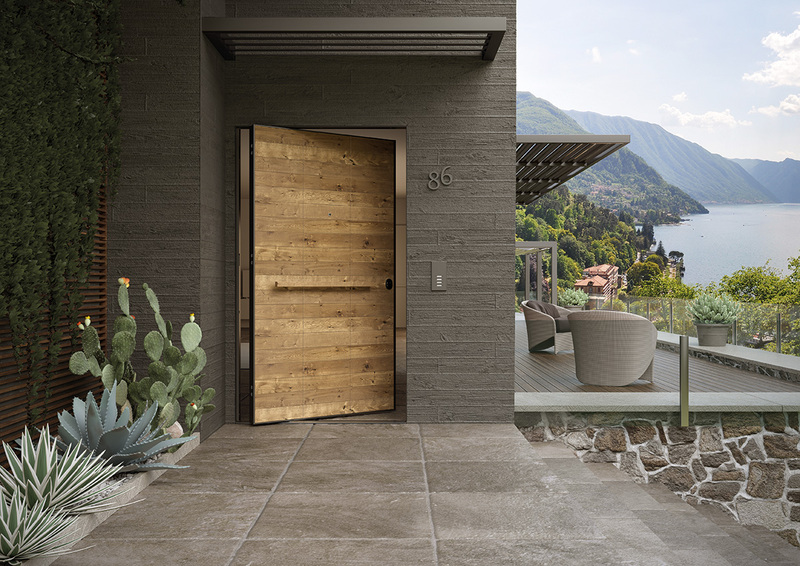 Di.Big responds to all these features: it is a security door with a pivoting door with a single leaf flush with the frame with double closing points both on the hinge side and on the lock side. The precious materials, the accuracy of the details and the elegant and essential design make it an ideal piece of furniture for the interiors; moreover, thanks to the attention to thermal-acoustic performance and the presence of two anti-draft bars (upper and lower) and a lower anti-water stop, it is also suitable for outdoor use. Di.Big is available with three different mounting systems: standard, flush with the internal frame for boiserie and flush with the external frame.